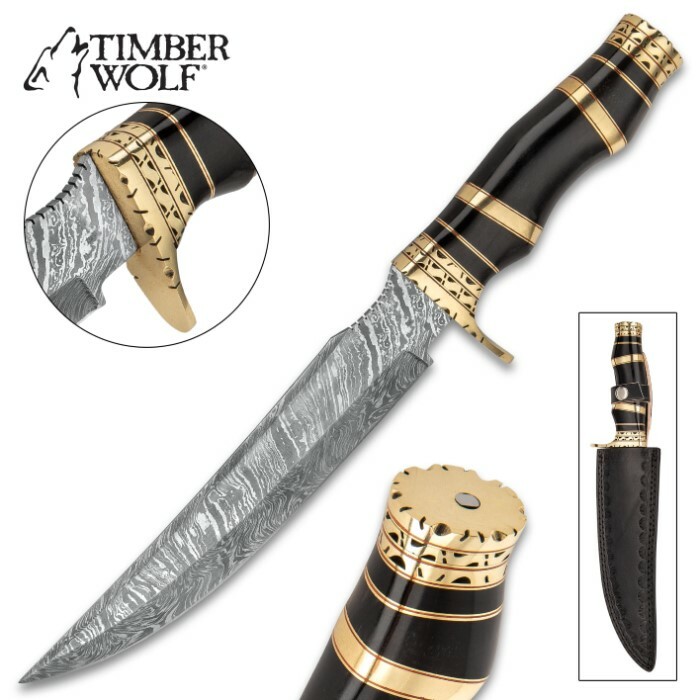 Timber Wolf Luxor Fixed Blade Knife - Damascus Steel Blade, Buffalo Horn Handle, Brass Pommel - Length 14 1/4” | BUDK.com - Knives & Swords At The Lowest Prices! Like the knives carried in the streets of ancient Luxor, the Timber Wolf Luxor Fixed Blade Knife has a slim profile that assures it is a manageable and effective knife for any situation. Its classically ornate design makes it display worthy, giving you the best of functionality and collectability. 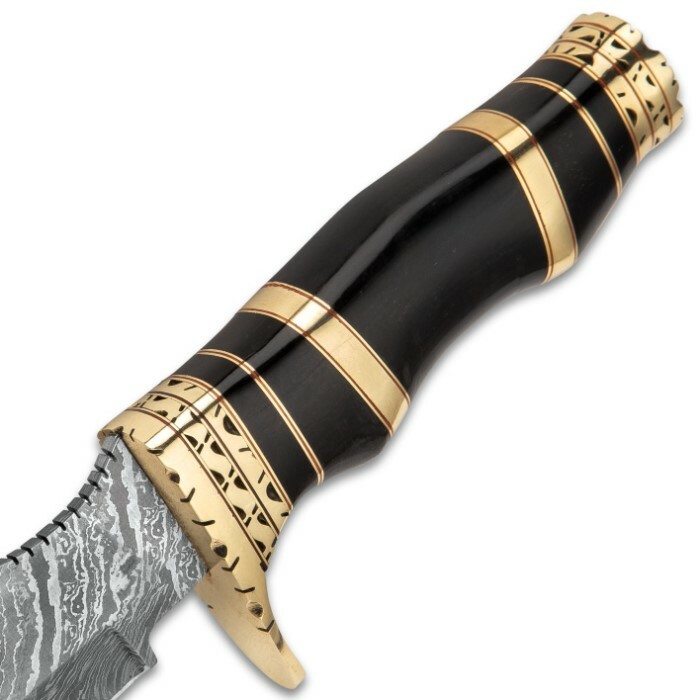 It has a keenly sharp, 9” Damascus steel, slim profile blade with a unique fire inspired pattern and the blade features jimping for better control. 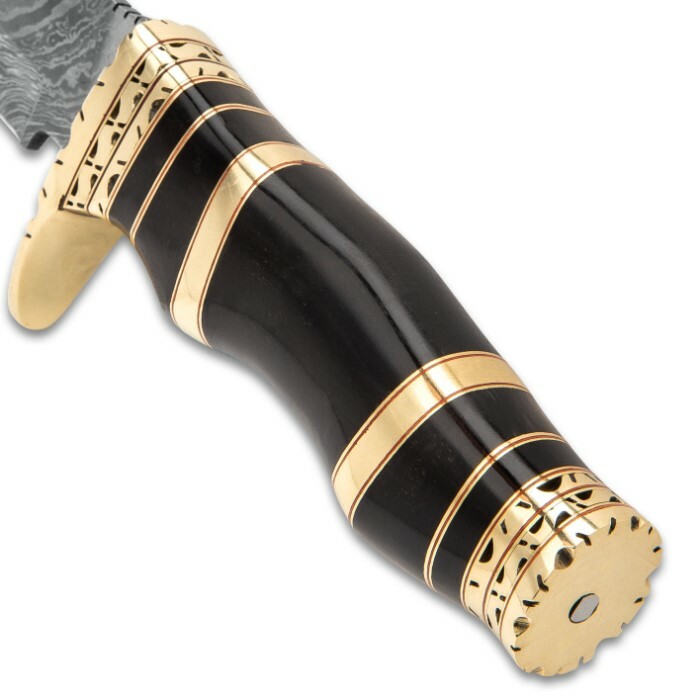 The genuine, black buffalo horn handle is accented with brass spacers and features an intricately designed brass pommel and handguard. It is curved to fit comfortably in the palm of your hand. To protect and carry this incredible fixed blade knife, an attractive black leather belt sheath is included.